Leo was an asylum seeker. Let us put aside that weary term and see what Leo was and how we came to know him. Leo was a Tamil. That means he was born into that minority in Sri Lanka which gave rise to the Tamil Tigers. The Tigers rebelled violently against the Sinhalese majority, earning a reputation for terrorism. A civil war was conducted over many years, culminating in a government offensive that put down the rebellion and targeted civilians. If I read the story right, both the Tigers and the government were guilty of atrocities. Leo was a baby when, during the worst of the bombings, his father wrapped him in banana leaves and hid him in the jungle. The family fled to India when Leo was five. He lived there in a miserable camp for twenty years, visiting Sri Lanka once to see family. He was imprisoned and tortured. Why? I don’t know precisely, but the explanation would have to start with the fact he was a Tamil. Leo became an asylum seeker, a boat person, a “queue jumper”, and made his way to Cocos Islands. After only four months of detention, Leo was resettled near Geelong. That means the Australian authorities – Customs, Immigration, ASIO – found him to be a non-terrorist. They found that speedily. Leo was judged not to be a risk to Australia. He was given a Bridging Visa, which allowed him to work but did not endow him with Permanent Resident status. In the last few weeks Leo learned that a couple of Tamil men with stories similar to his own had been taken back into detention. These two faced the prospect of joining the one thousand Tamils whom we have sent back to Sri Lanka where they face persecution. Leo knew that persecution; he knew it in his tortured mind and in his body. How did Leo spend his time on the Bellarine Peninsula? He worked two days a week for an asphalting company, cleaning greasy trucks. In his spare time he volunteered in an aged care home, he donated blood, he helped bring aid packages to asylum seekers new to the community, he sent money every month to an orphanage in the refugee camp in India that is still his parents’ home. Leo became an organ donor. Did he expect to die? Here is where I can help the minister. I know the mind of a person in the situation of such parlous existence, endlessly uncertain what his fate will be, of having it determined by the opaque decisions of governments and ministers. I know it by the accident of my unusual experience working among detained people in Christmas Island. I know it too by the not unusual gift of empathy. I know Leo’s death was not an incident – far from incidental – it was our doing and it was in the statistical sense, predictable. We saw that with the Tamil man who burned himself to death a few weeks before Leo. Our minister made one accurate remark, however. Leo’s death is truly tragic, tragedy being that event which stalks its quarry and must in time, come. Now Minister Morrison, a person whom I have never met in the flesh, but whom I confess I hate generously, is an honourable man. He is our Honourable Minister. We elected him. That means we chose him, we pay him. We chose him and his party. We might have chosen the opposing party, the party that under the previous leader prevented any future suicides on our soil by means of exporting our guilt to Nauru and Manus Island. We electors had our choice between two contenders, both of whom had resolved, after Tampa, to compete to win our votes by systematic unkindness. It was after Tampa that an Australian government won a losing election by adopting a Cruelty Policy towards asylum seekers. It was then that I first felt shame in being Australian. Last Saturday Leo Seemanpillai poured petrol over his body and set himself on fire. He died the next morning. The little I know of this man I garnered from an article in “The Age” of Tuesday June 3, written by Konrad Marshall. I managed to read Marshall’s account with steady sorrow. It was Leo’s final gift to a people who didn’t fully accept him that undid me. I jumped in my seat: Leo’s kindness spoke of our meanness. Are you acquainted with anyone on an organ transplant waiting list? It’s like being on a bridging visa: your status is endlessly insecure; you suffer while you wait; the waiting period is usually prolonged and painful; the process feels capricious; death beckons the unfortunate. Following the death of the asylum seeker, one blind Australian has received Leo’s gift of sight. A second Australian breathes freer with Leo’s lung, two others enjoy the use of his kidneys, yet another will live with Leo’s liver. The asylum seeker has crossed the bridge we all will cross. In India he leaves grief, in a shamed Australia, example. *Anyone with the stomach for knowing about horror burns can read my account of it (under the title of ‘Burned Man’) in the latest edition of Meanjin, or can wait for my book of non-fiction of that title, to be published in 2015. A very moving account of a life and death. Thank you. Dear Doc.! Have you sent this post to Morrison? I’ll send mine if you wish, or perhaps we could deliver it to him personally? You know my feelings about asylum seekers. Here’s someone else who feels as I do, but has worked among them and is able to put his feelings into words far, far better than any of mine. Re-blogging. It’s all I can do. That’s wonderful, thank you Margaret. Margaret Rose, please, Howard. Or M-R.
thank you for your response – doubtless profound but profoundly cryptic; help me out? You would have to visit my blog to understand, Howard. Scarcely worth it, I fear. You write “re-blogging – it’s all I can do”. Far from nothing and far too humble. With appreciation of a like mind. This post makes me feel the shame all Australians should feel. Such a horrific story. Thank you for writing it Howard, and for bringing it to my attention M-R.
Our treatment of assylum seekers makes me ashamed to be an Australian. I love your analogy of temporary protection visas and those waiting for organ donation. I have worked in a haemodialysis unit with those waiting for kidneys and I know their despair. I have also nursed burns patients in ICU and know the suffering that Leo would have endured. A great piece Howard. Am sharing on FB to try and get it out where it counts. I value your informed response and I feel thankful something so serious will be shared with FB friends. A note of thanks for your piece on Leo. One of my closest friends, Cathie Bond, was his Australian ‘Mum’. I have shared it with her and I know it will mean a lot. She is supporting his Tamil friends in Geelong who are all devastated. Cathie is one of those people who should be publicly acknowledged. For countless years she has, as a volunteer, supported asylum seekers. In the ‘old’ days she would travel by bus from Queenscliff>Geelong>onwards to Baxter Detention Camp. She even smuggled in fruit to ‘her boys’ there. She lives frugally, and spends almost every available cent on visiting, transporting, assisting the families. To have her loss written of in this compassionate way will mean so much to her. The Govt. agencies have been abysmal as she and others have sought to get Leo’s father here for the impending funeral. One ‘official’ said to her “but then you’d want their whole village to come here I suppose.” I hate Morrison with a vengeance (and the rest of the cretins too). Gone are the days I thought it was bad to hate. The older I get the more I realise it is essential if we maintain our perspective of what is right and wrong. And in other news…. My ‘adopted’ Iraqi family – now citizens but were asylum seekers – are living in fear of what is happening in Iraq to their relatives. On top of that their middle boy – my ‘grandson’ – has just been diagnosed with paediatric lymphoma. Excellent care so far from Peter Mac. But just when they thought life was becoming better…..
Hi Howard…So many thanks for your part in reaching out to the world with Leo’s story. Our hope is that this heart-breaking tragedy will be the catalyst for change in this brutal refugee policy. Leo has already changed lived here in Australia by being an organ donor, and we will continue to support and comfort his fellow Tamil asylum-seeker friends here in our community. Can I add to your beautifully-written article by mentioning Leo’s wonderful friend and employer Rob, who gave Leo the chance to work, and supported him with friendship and loving care throughout Leo’s time with us in Geelong. Leo had so many close friends in the community who are shocked and grieving, and determined to make the future a better place for his fellow asylum-seekers. Hi Howard…So many thanks for your part in reaching out to the world with Leo’s story. Our hope is that this heart-breaking tragedy will be the catalyst for change in this brutal refugee policy. Leo has already changed lives here in Australia by being an organ donor, and we will continue to support and comfort his fellow Tamil asylum-seeker friends here in our community. Can I add to your beautifully-written article by mentioning Leo’s wonderful friend and employer Rob, who gave Leo the chance to work, and supported him with friendship and loving care throughout Leo’s time with us in Geelong. Leo had so many close friends in the community who are shocked and grieving, and determined to make the future a better place for his fellow asylum-seekers. In Cathie Bond, poor Leo saw the face of love in Australia. Our Cathie Bonds redeem our nation. Just realise my mistake in 4th.line ..have corrected it…brain not in gear, I’m sorry! I’ve sat here for several minutes trying to find the right words to say … I have none. Only tears. I read this account in growing horror. I am far away, here in the UK, yet no less guilty of failing to stop the people supposed to represent us from treating asylum seekers with cruel thoughtlessness. Thank you for telling us about Leo. thank you for your response; your horror speaks of honour. john donne taught us no man is an island – our respective islands have not isolated us. Dear Howard. Thanks. Your words are golden, Mr Mountain, but you make think of this shame business. It’s good to be ashamed, but it’s not enough. Our shame may start to change this situation. Then it’s good, Right now, our shame is a comfortable hairshirt we drag on as we prepare for the rest of our days. Our actions are like unto the good Germans. Unless we turn the comforting misery of our shame into change, it will only be about us. ..
And your words, sweet man of the south and west, are honey to my eyes. Heartbreaking, makes me so shameful to be an Australian. Thankyou for posting. Colleen, Australia is now a collective of shame. 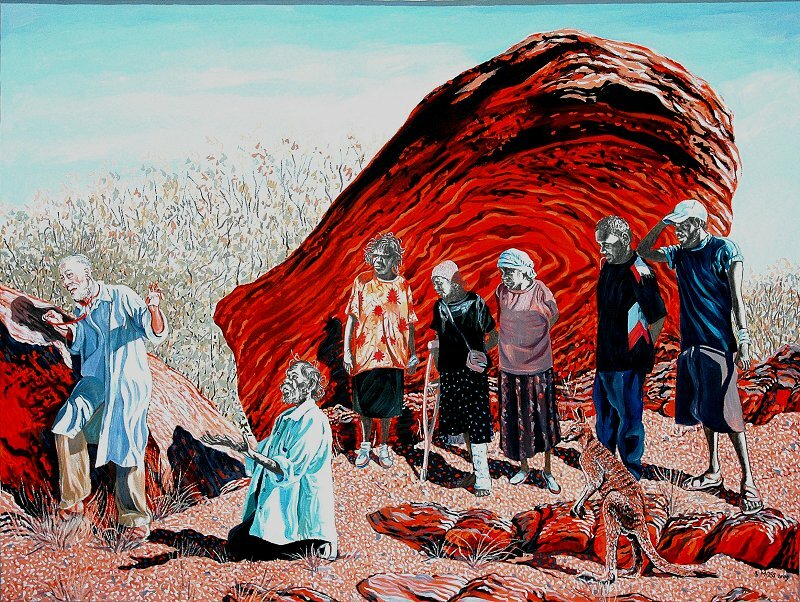 Who can doubt that some time, perhaps around the year 2100, an Australian PM will rise in Federal Parliament and deliver an apology on behalf of the nation to the descendants of those we tormented? The apology will enjoy the support of both sides of parliament and purge much of the shame we now feel. That is all so predictable and so evitable. The death of Leo Semanpillai is a tragedy. I am just confused by a number of points made above. And I say this with a nod to the notion that you learn most by disagreement and debate. I share the views on detention offshore, particularly of children. I have no issue with comments. Australia has a proud history of accepting and assimilating refugees – more than 250,000 since 1975 have become citizens.Current policy has drawn a line here. It’s a humanitarian failure, poor policy …. I just have a respect for facts. Leo was no doubt a caring, wonderful young man, but this does not make him a refugee. There is too much of “political views” and emotions around about the commentary. Let’s talk about what we know, from media. After arriving here by boat he was given a bridging visa and quick release into the community, where he was shown kindness and found work. He avoided extended detention [12 weeks onshore in total.] His case was receiving ongoing consideration. He committed suicide for unknown reasons, having shown no signs of suicidal tendencies. There is some question of his refugee status and friends describe him as feeling insecure at the thought of being returned to Sri Lanka. The process he was going through was following standard refugee protocols for assessment and are similar across the world in countries with a humanitarian refugee program, including Sweden and the US. In fact, Australia’s recognition of refugees is widely recognised as lenient [this is another aspect of the program the government is trying to change, another issue]. In 2012, Sweden had more than 25,000 applications, with just over 3000 recognised as refugees and resettled. Australia had a slightly higher figure of applicants, with more than 80 per cent recognised as refugees and resettled. It’s interesting that the government is accused of not following UN protocols on asylum seekers through extended offshore detention. Fair enough. But in this case, those protocols were followed. Let’s look at Greens policy, recognised as a most generous and liberal policy on refugees.The Greens have 5 Principles on refugees. Principle 5 says “Australia must assess applications for all asylum seekers who arrive, irrespective of travel.” Principle 3 policy says “Australia must enact its humanitarian and legal obligations under 1951 legal protocol.” This was done for Leo.There is no reason to believe that if the Greens were in power, the outcome would be different. What do we do with failed asylum seekers? Is there a way of detecting tendency to suicide? Should we have policy on fast tracking the mentally ill? No party has suggested that; there is debate about bridging or temporary visas. There are good arguments for and against [Leo was clearly ill; it may have been the illness that drove him to flee India, but we don’t know that.] The main criticism seems to be that Australia was slow to process his application. Yet Australia’s processing times are comparable to other nations – Canada is 3 to 5 years [outside of designated countries. Sweden has designated Syrian refugees for fast tracking; USA have Bhutanese and Iraqis fasttracked.] Also, the process is very difficult, especially when information has to be checked over multiple continents. He claims to have been tortured in his brief visit to Sri Lanka. This would have been tested, with medical tests etc. Changing stories can slow this process down. His case manager met him every fortnight – hardly a neglectful situation. In fact, internationally, best practice. The truth of Australia’s offshore detention [not the wider refugee policy – which continues, week to week, unacknowledged, although slightly scaled down by the Liberals] is awful enough without turning a mentally ill man’s suicide outside of detention into political fodder, to convince us of the horror of offshore detention. This issue is mightily complex. You need to read and research a lot to write just a little, not the other way around, but the animus generated by this issue and the way the government is responding seems to have made the reverse true for many. Suicide is normally dealt with carefully. Be very careful at what is said, how it is said. Not in this case.The response to Leo’s death has caused great grief to some people who dealt with Leo. Some, I believe [and this cannot be said is fact] are now under close watch and care. I believe that up to 32 Australians died of suicide the week Leo died. One I knew. Mentally ill like Leo, but unlike Leo, homeless and without medical treatment. Unlike Leo, very alone. Mental illness, suicide, can hit anyone, anywhere, at any time.To me, this seems like an attempt to use Leo’s death to play politics on this issue, putting politics before all else, the very thing the government is accused of in its offshore processing program.